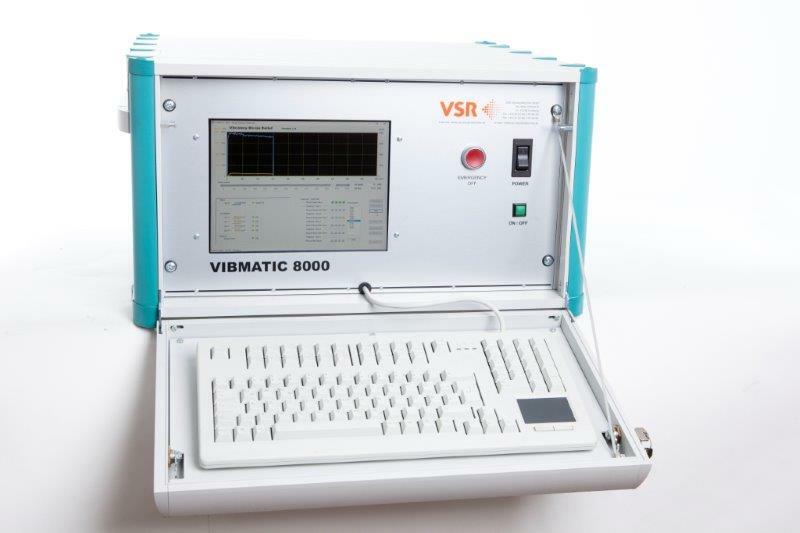 VIBMATIC® 8000 is the fully automatic system for vibration stress relief. The further developed 6th generation of VSR – treatment is based on the precise MODAL ANALYSIS and stabilises metallic workpieces in their dimensions by vibration. With the VSR BLASTER® air cannon, we have also developed pioneering technology; the cement industry, in particularly, quickly recognised the potential of this product, which still sets the standard. The company’s leading position has been maintained through continuous, customer-oriented development. However, we have still been able to maintain spare part compatibility over the years. In 1988 we faced a new challenge with the DUSTEX® Dispersion System: environmental protection. With special nozzle technology and problem-oriented system designs, our systems achieve the highest effectiveness with minimal use of water. Expansion of the product portfolio by water spraying and sprinkling systems and the mobile fog blower make it possible to solve nearly all dust problems. The fact that authorities and government agencies today demand qualified water spraying systems and dispersion systems as the standard of technology in accordance with the German Air Pollution and Control Regulation “TA-Luft”, is due to the pioneering work of VSR. Development continues – a research project under the patronage of the Federal Ministry of Education and Research is currently in progress. With optimisation of bulk material conveyor belt transport, the VIBREX® conveyor belt scrapers, LINEX® conveyor belt centralizing idlers and CAREX® segment block system for chute sealing are important tools that have proven their worth in a variety of applications over the course of time. as the company’s first product; it is this product that gave it´s name to VSR: Vibration Stress Reduction. The process is a true alternative to stress-relief annealing in many respects: internal tension that would result in unacceptable warping during mechanical processing is simply “vibrated away” with the treatment. Handling, energy use and logistics can be minimised, thus creating a significant reduction of production costs. Renowned large corporations have also taken notice of these advantages. In the current 6th generation of equipment, a modern computer controls the vibration generator; this also enables easy creation of logs and reports for the treatment. A research project was also recently conducted in combination with this product, subsidized by the Federal Ministry for Economic Affairs and Energy.